We are delighted to offer this 1 bedroom / 1 bathroom Flat for rent at £1,500.00 pcm (£2,300.00 deposit). Minutes from transport links of Kentish Town, Period Property with High Ceilings, Recently refurbished & contemporary furniture. Minimum lease of 6 Months. We are delighted to offer this 2 bedroom / 2 bathroom Apartment for rent at £1,200.00 pcm (£1,650.00 deposit). Situated within a small, private, beautifully maintained, gated development , 2 bedroom, 2 bathroom, first floor apartment, Kitchen Breakfast Room with appliances and Lounge Dining Room. Minimum lease of 6 Months. We are delighted to offer this 2 bedroom / 1 bathroom Flat for rent at £1,600.00 pcm (£2,000.00 deposit). Pleasant outlook, Gas central heating, Good transport links. Minimum lease of 12 Months. We are delighted to offer this 1 bedroom / 1 bathroom Flat/Apartment - Ground Flat for rent at £1,200.00 pcm (£1,500.00 deposit). 5 minutes from Victoria Line tube , Period property, open plan , E.g. 'Good transport links'. Minimum lease of 12 Months. We are delighted to offer this 4 bedroom / 1 bathroom House - Semi-Detached for rent at £725.00 pcm (£850.00 deposit). Approximately half a mile from Elston Hall Primary school which has recently received an Outstanding Ofsted report. , excellent commuting links with Wolverhampton's bus 4 every 10-15 minutes and two minutes walk from home., Generous off road parking to front.. Minimum lease of 12 Months. We are delighted to offer this 1 bedroom / 1 bathroom Flat for rent at £1,100.00 pcm (£1,523.00 deposit). Cosy comfortable flat which tenants love, Friendly quiet building (other flats owner occupied), Good transport links and local facilities. Minimum lease of 6 Months. We are delighted to offer this 1 bedroom / 1 bathroom Flat for rent at £950.00 pcm (£950.00 deposit). No Parking Restrictions, 2 minutes from Highgate Woods, Lovely Flat. Minimum lease of 12 Months. We are delighted to offer this 1 bedroom / 1 bathroom Flat/Apartment - Ground Flat for rent at £900.00 pcm (£1,035.00 deposit). Village location, Good access to M4 and A33, Close to amenities. Minimum lease of 12 Months. We are delighted to offer this 2 bedroom / 1 bathroom House - Semi-Detached for rent at £1,050.00 pcm (£1,200.00 deposit). Short walk to High Brooms station, 2 Reception Rooms, Spacious Bathroom. Minimum lease of 12 Months. We'll pay your rent on time, every time! 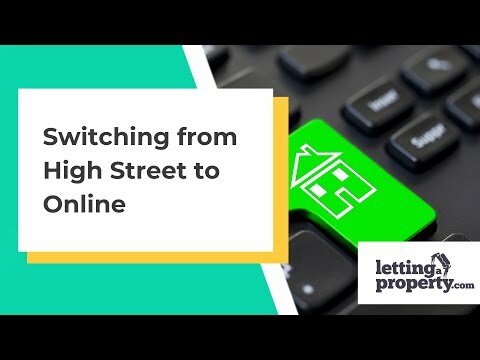 LettingaProperty.com offers a quick, easy & hassle-free service. We'll advertise your property on Rightmove, Zoopla & Primelocation, find a tenant online and carry out full tenant referencing. We can also take care of the legal paperwork, secure the deposit and offer guaranteed rent. For complete financial peace of mind we will pay your rent on time every month!